The 15th Obert Internacional d’Escacs “Ciutat de Balaguer” was played over nine rounds of Swiss system from 19th to 27th July in Balaguer, Spain. Total prize fund was 13,000 EUR, with 2,300 EUR and a trophy allocated for the winner. 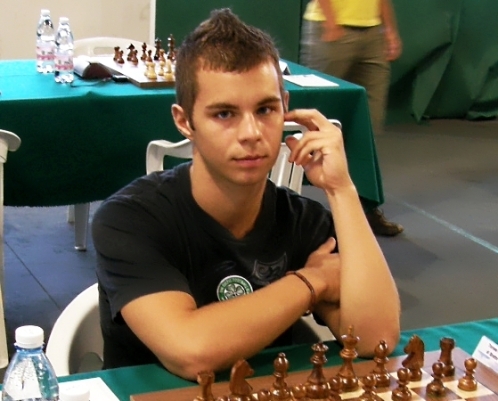 The 20-years old Italian Grandmaster Daniele Vocaturo, who was seeded 14th before the event, convincingly outplayed the higher rated opposition and won the tournament by collecting 7.5 points. He was alone on the top before the final round, but contrary to the “usual” practice in open tournaments, he didn’t settle for a draw and played for a win with Black pieces against Mexican Grandmaster Manuel Leon Hoyos. Important victory in that game sealed the first place as only GM Quesada Perez was able to collect 7.0 points and claim the silver medal. Last month Vocaturo shined in another strong open tournament, Eforie Nord Chess Festival, but couple of defeats in the finish denied him from taking the trophy. In Balaguer he didn’t repeat the same mistake. 89 players from 19 countries took part in the competition, among them were 17 Grandmasters.